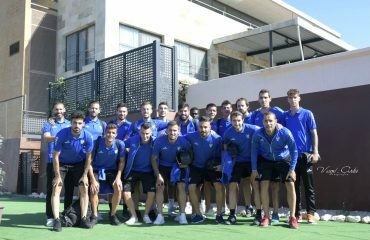 The team led by Toni Seligrat opted for a stay at the SIA sports facilities (Enguera, Valencia) to prepare his football match against Club Deportivo Alcoyano, of Group III of Second Division B. The month of March drains his days of league competition and in Soccer Inter-Action (SIA) it does it with a new important Stage. 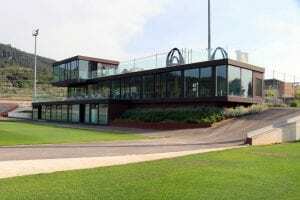 The Centre d’Esports Sabadell Futbol Club repeated his stay at the sports facilities located in Enguera (Valencia, Spain) to prepare his football match against Club Deportivo Alcoyano. Group III of Second Division B demands the maximum performance and the Catalan team did not hesitate to draw on our services. After concentrating at the High Performance Center of Soccer Inter-Action on mid-March, this club did not want to miss the opportunity to use our high level resources. Pitch of natural grass, artificial field, soccer pitch for technification, restaurant with personalized menus, High Performance Center with high quality level, rooms of physiotherapy, room of video analysis or rooms of leisure have been elements that shined with own light. In addition, the players of valencian coach Toni Seligrat shared space and time with the young promises of the International Football Academy of Soccer Inter-Action. 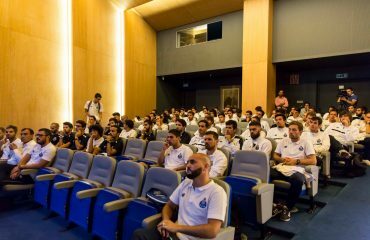 In fact, the academy footballers were able to see the working of a influential soocer team that it also had the opportunity to watch the matches that the F.C. Porto Dragon Force Valencia soccer school played at home. Presided this season by Esteve Calzada, one of the most important figures in sports marketing, this historic team has no limits when it comes to aspiring to achieve great objectives. The C.E. Sabadell hopes fulfill its mission to return to be team of the importan Second Spanish Division, always being faithful to the rigor and humility, values that share with Soccer Inter-Action.